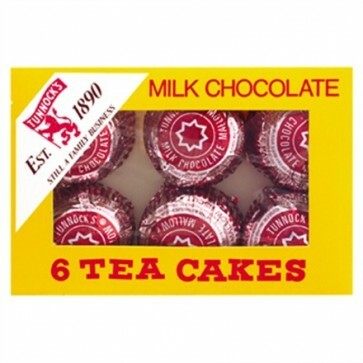 The iconic Scottish teacake - delicious chocolate covered marshmallow and biscuit wrapped in distinctive silver and red foil. Made even more famous by the 2014 Commonwealth Games in Glasgow. Ingredients: mallow 38% (sugar, glucose syrup, egg albumen), milk chocolate 34% (sugar, cocoa solids (min 25%), milk solids (min 14%) vegetable fat, emulsifier-soya lecithin (E322), flavouring) Biscuit 28% (wheat flour, vegetable oil, sugar, chocolate (cocoa solids (min 25%), milk solids (min 14%), raising agents (sodium bicarbonate and disodium diphosphate (E450)). Contains: egg, cow’s milk, wheat gluten, soya. Suitable for vegetarians.